Officials said they will implement a finger-scan system to record employees' work hours after a review found that 79 percent of timecards were not properly approved. 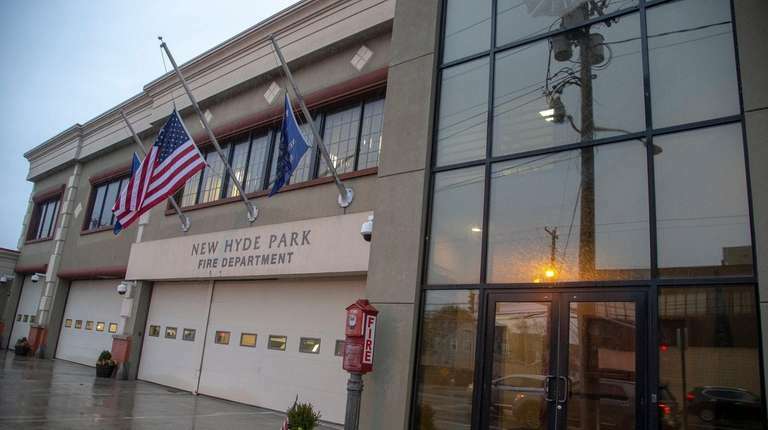 Officials in the New Hyde Park Fire District failed to properly authorize and approve nearly all overtime or doubletime hours paid out and did not review or approve 79 percent of timecards totaling more than $170,000 in gross pay, according to an 18-month audit by the state comptroller's office. The report, released Thursday, states that supervisors also did not document their reasons for adjusting $4,451 worth of payroll hours, and that 91 percent of the overtime or doubletime hours that were paid out but not approved totaled $7,833. The fire district had a $693,000 budget in 2017 for salaries among its 26 employees, according to audit data. Eight of those employees work at district headquarters on Jericho Turnpike. The district is run by a five-member board of fire commissioners who are responsible for the operating budget, adopting policies and certifiying payroll. The district's secretary processes payroll. The audit found that board chairman Stephen Derenze did not review four of the 69 timecards that secretary Maria Passariello had submitted. Derenze did not return calls for comment Friday. In a letter dated Oct. 16 and sent to an official in the office of Comptroller Thomas DiNapoli, district officials said they are implementing new policies to strengthen their payroll process, including replacing the manual timekeeping method with a finger-scan system. District leaders realize that their "payroll processing is not sufficient when the officials assigned to those duties perform them but do not record the work that they have done," Derenze wrote. Comptroller spokesman Brian Butry said "it's a positive sign" that the district has moved to fix the payroll problems. However, it's unclear whether those changes will actually correct the issues, Butry said, adding that the comptroller's office may have to conduct a follow-up audit. "Without us first going through and examining the new policies and how they were implemented, it would be tough for us to say that it fully satisfies our recommendations," Butry said.